Yup. 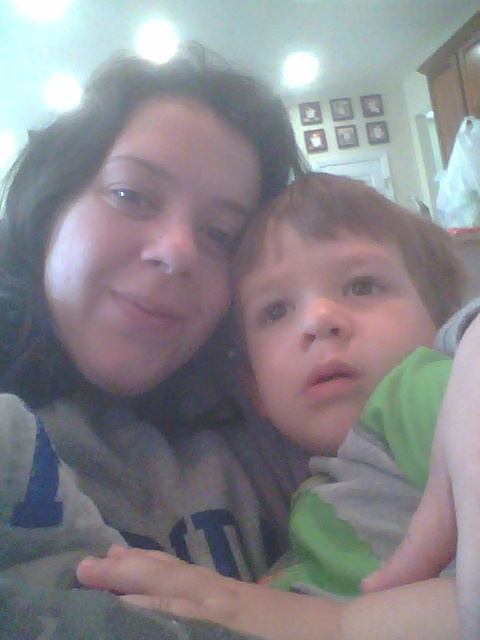 I’ve spent most of my days lately snuggling on the couch with my little man and watching way too much Mickey Mouse Clubhouse and Jake and the Neverland Pirates (which, by the way, my son calls “Yo Ho Ho” ~ how cute is that?). I’ve been pretty much rendered useless and am mostly surviving on Nutella (cuz it’s a good source of protein, natch.) and an assortment of tart candy. All this has made me think about this blog and shop and where I want it to go. Seeing what’s coming my way, I just can’t fully commit to a handmade shop full of awesome stuff, although I still want to share my craft with the world, but I don’t want to fill my shop with easy things to sew that you can find millions of with a quick online search. I have so many ideas for products that I don’t see on the market, but I just don’t have the energy to bring them to life. I barely have the energy to hide eggs for an Easter egg hunt – piecing together and figuring out how to make something from an image that’s floating around in my brain is kind of not an option right now. I enjoy writing and being creative, so I think I’ll expand this blog to be about more than just sewing and more about finding creative ways to live – it’s been that way anyway. I have some great things coming up this summer that I want to share. And it’s not going to turn into a mommy/pregnancy blog (not totally, at least). So stick with me as I get out of my morning sickness funk, and start creating and living again. I think you’ll like it. This entry was posted in family, parenting on April 13, 2012 by aliciamariel. Congrats! And I hope you start feeling better soon. Thank you! I’m hoping I’ll feel better in time for my trip to London this summer! That’s the goal, at least.